Obama's Tapping Of Oil Reserve Gives New Fuel To Partisan Energy Debate : It's All Politics President Obama's tapping of the nation's strategic oil reserve will give many congressional Democrats what they've been asking for. But it is likely to heighten criticism of him by congressional Republicans who have bashed him for not doing more to promote domestic production. A floor mat at the Strategic Petroleum Reserve facility near Beumont, Tex., September 2000. President Obama's decision to sell 30 million barrels of oil from the nation's Strategic Petroleum Reserve ostensibly to offset supply disruptions caused by the turmoil in Libya will give many congressional Democrats what they've been asking for. But it is likely to heighten criticism of the Obama Administration's energy policy by both Republicans in Congress and presidential candidates who have bashed the president for not having an energy policy that's to their liking. Republicans have called for much more aggressive action by the administration to promote domestic oil and gas exploration and drilling as a form of greater energy independence from foreign sources. The release of oil from the reserve doesn't exactly fit that bill. Unsaid was that the administration's congressional allies have been calling for the president to tap the reserve which as of May 31 had about 726.5 million barrels. The calls were especially loud a few weeks ago when gas prices rose beyond $4 a gallon. The slowing economy only added to Democrats' sense of urgency that the president release oil from the reserve. House Democrats even introduced legislation earlier this year to sell oil from the reserve. Speaker John Boehner dismissed those efforts, accusing Democrats of doing little to increase domestic oil production when they controlled the House. "Everyone wants to help the American people and lower prices the pump – especially now, in tough economic times. And it is good that the Obama Administration is conceding that increased supply will lower those costs. 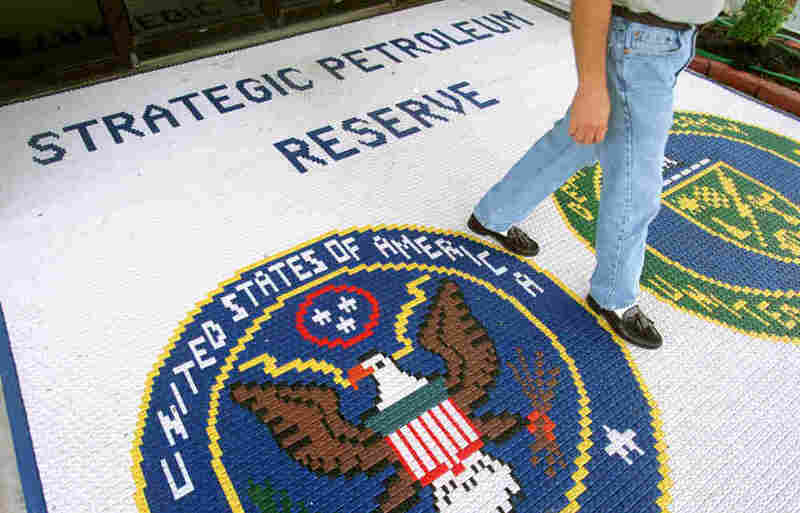 But by tapping the Strategic Petroleum Reserve, the President is using a national security instrument to address his domestic political problems. The SPR was created to mitigate sudden supply disruptions. This action threatens our ability to respond to a genuine national security crisis and means we must ultimately find the resources to replenish the reserve – at significant cost to taxpayers. "There is a better way: we need a sensible energy policy to increase the supply of American energy, which will lower costs and create millions of American jobs. According to the Congressional Research Service, the U.S. has 163 billion barrels of recoverable oil. Unfortunately, this administration has consistently blocked the production of American-made energy and opposed legislative efforts in the House to increase supply. House Republicans will continue to advance the American Energy Initiative and work to lower gas prices and create jobs by responsibly increasing the production of energy here at home." Boehner wasn't alone in reading politics into the administration's action. "The Obama Administration's decision to release oil from the Strategic Petroleum Reserve is ill-advised and not the signal the markets need. Unrest in the Middle East is likely to continue for quite some time, so a temporary increase in supply is not a substitute for a long term fix. Our reserve is intended to address true emergencies, not politically inconvenient high prices. Rather than dabbling around the edges, the Administration should take steps to increase domestic production of oil—on and offshore, like the bill the House passed last night. Conservatives had put the administration on notice even before the president's decision, that they opposed releasing oil from the reserve for anything less than a true national emergency. Although President Obama's approval ratings have been suffering under the heavy burden of high gas prices across the country, national security interests—not politics—should guide the use of America's SPR.